Are you looking for an easy and sweet gift idea for your class or friends? 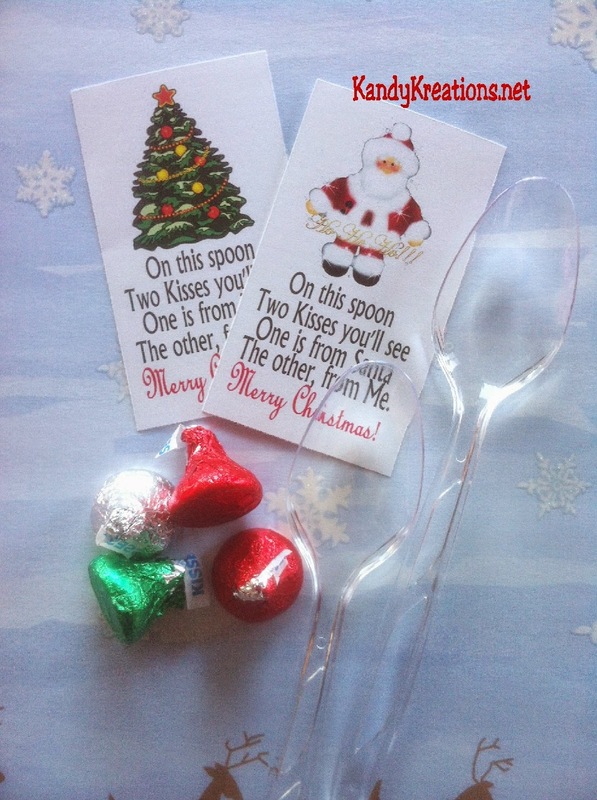 This Christmas spoon is a quick gift that you can give using a spoon, Hershey kisses, and these cute poem printables. 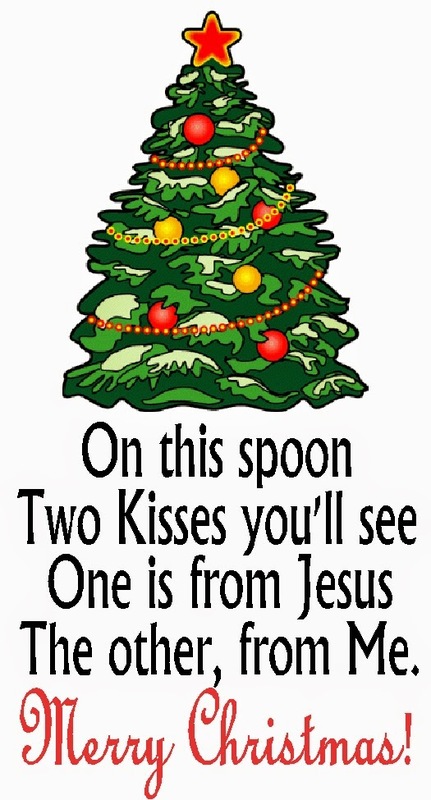 Poem works for both Santa and Jesus depending upon your gift giving needs. Christmas is just around the corner and it's time to start thinking about easy and simple Christmas gift ideas. This is one of those easy and wonderful gift ideas that you can give to a lot of people with little cost and little work. 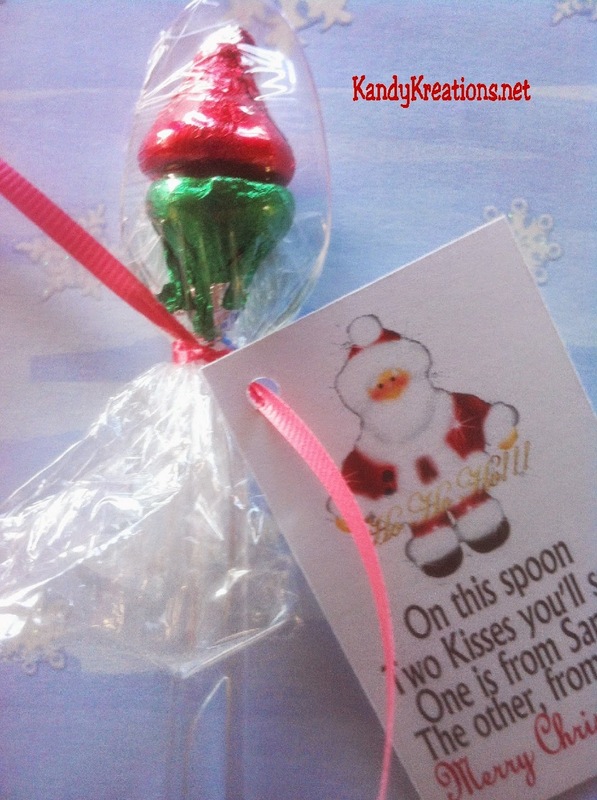 I love to give these at school Christmas parties or to a Sunday School class or group. Depending upon your needs there is a free printable poem and tag to go with it. 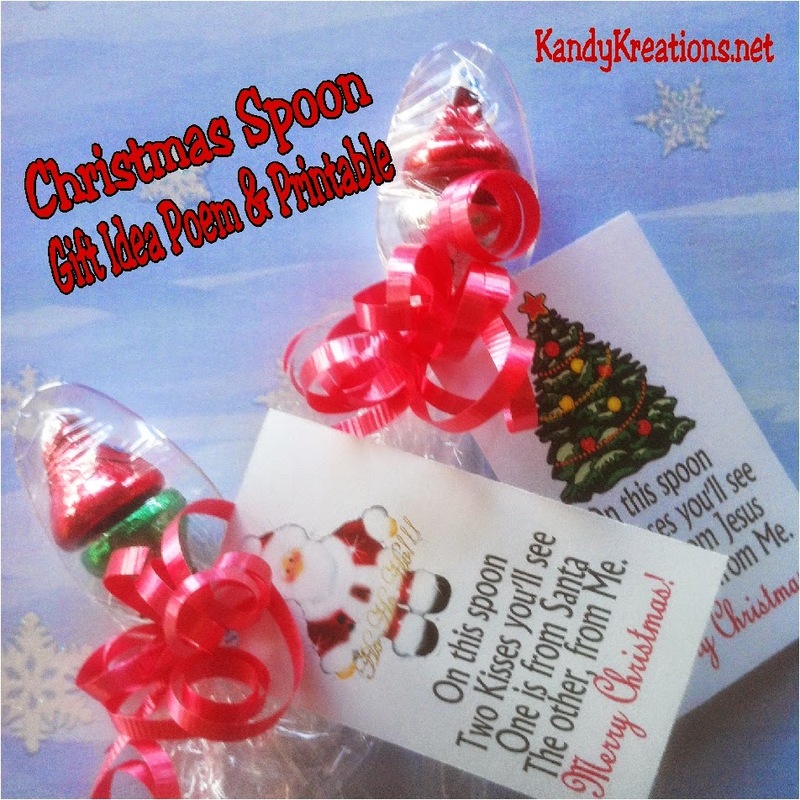 To make these Christmas spoons, you will need some plastic disposable spoons, a package of Hershey kisses, some clear wrap, curling ribbon, a hole punch, and a pair of scissors. Start by tearing off a piece of clear wrap (I like Saran Wrap) about 6 inches long. Cut the clear wrap in half so you have two pieces. Place one of your spoons in the center of the clear wrap. Add two Hershey kisses back to back on the spoon. 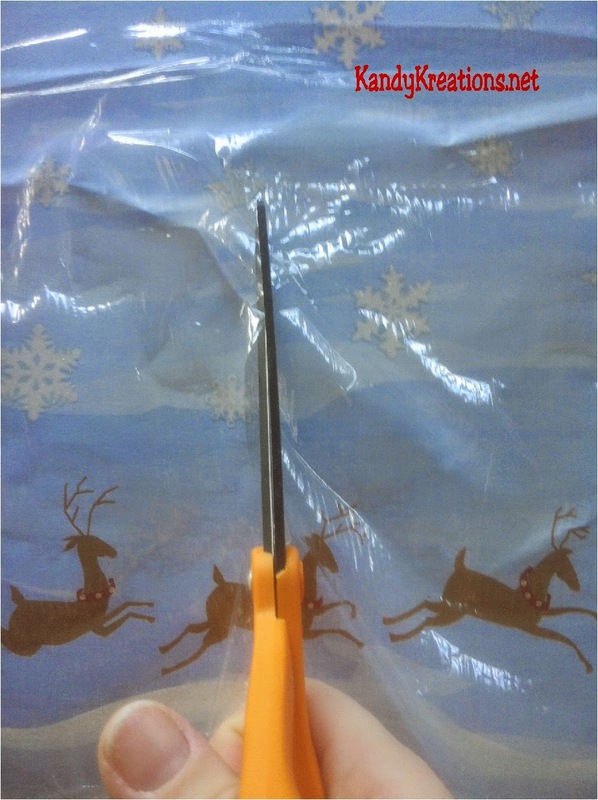 Fold the clear wrap over the top of the spoon and fold onto the back of the spoon. 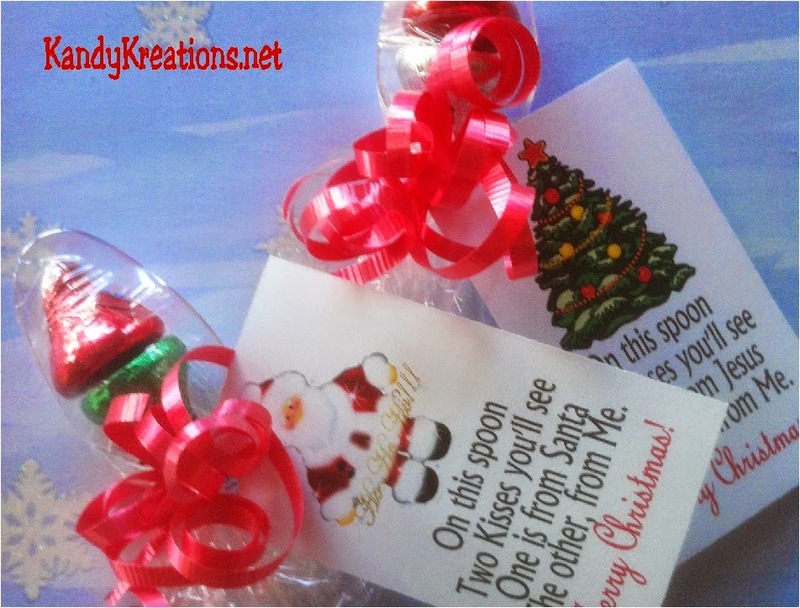 Print out your chosen Christmas spoon tag. I have two versions, one is from Santa and one is from Jesus. This should help you either way if you want a religious gift idea or just a friendly Merry Christmas idea. The Santa poem has the same poem but with a Santa on the tag and it says "one is from Santa". Punch a hole in the top corner of the poem tag and use a piece of curling ribbon to tie the tag and kisses onto the base of the spoon. Cut two pieces of curly ribbon about 6 inches long each. 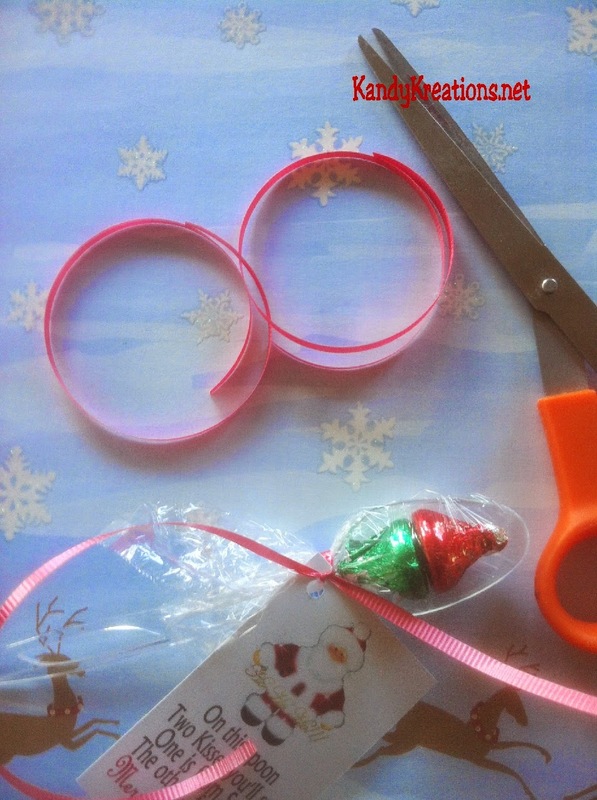 Take your scissors and curl the inside edge along the ribbon to curl it into a spiral. 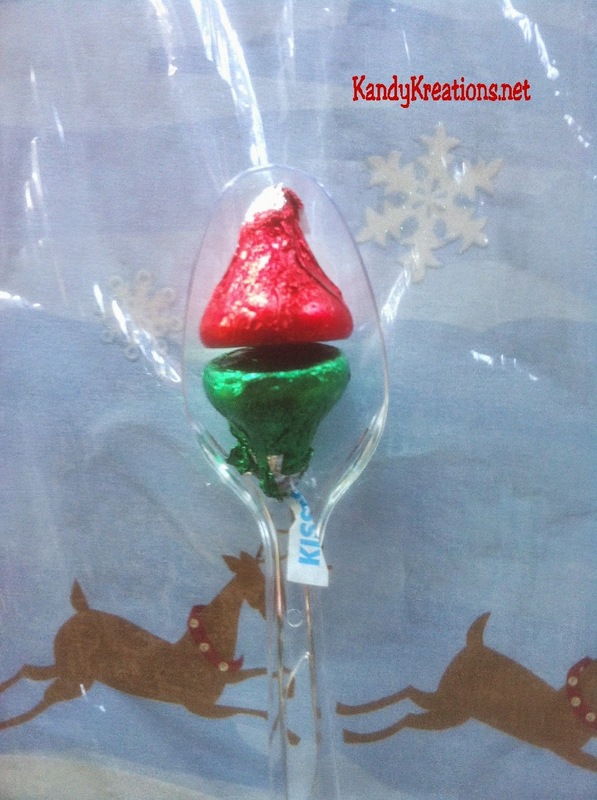 Tie these curly ribbons onto your spoon using the ribbon with the tag. Finish by curling the ends of that ribbon into curls too. Make as many of these as you need to give to all your friends, classmates, and as last minute Christmas treats!